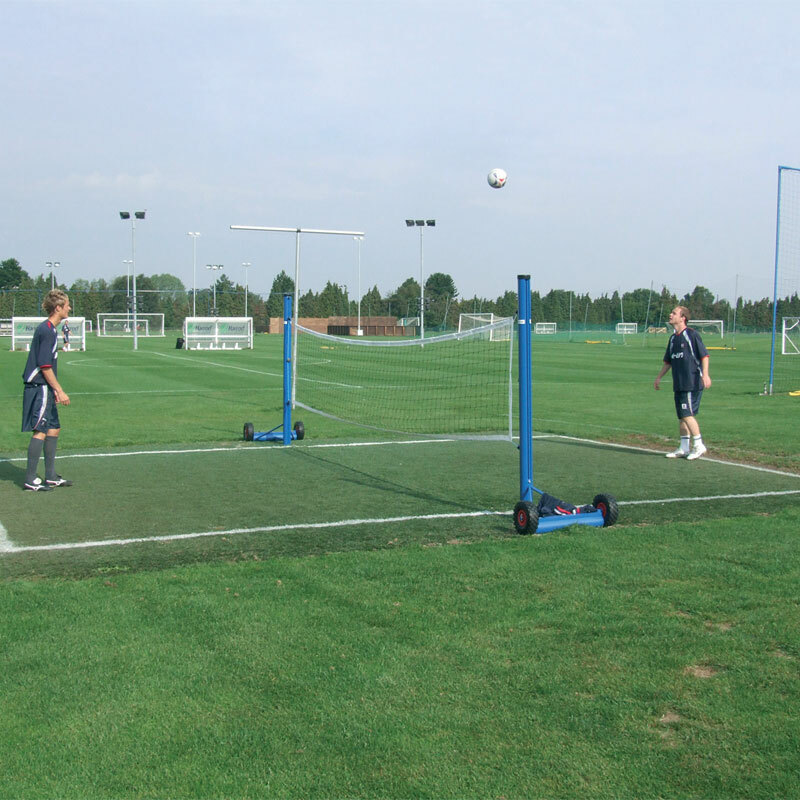 The Harrod Sport ® Premier Head Tennis is a height adjustable professional standard head tennis unit. Easily wheeled to and from the training pitch, this is the ideal training aid for professional and semi-professional clubs. Adjustable net height from 1m to 1.85m. 100mm dia. aluminium uprights complete with slider mechanism. 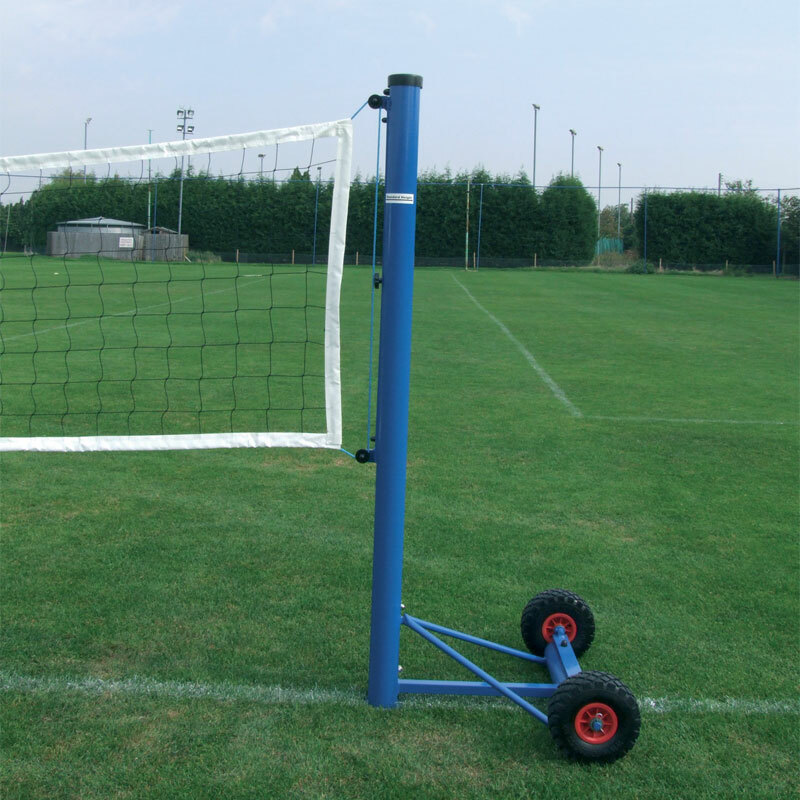 Heavy duty steel base ensures constant net tension. Two large cellular rubber wheels. 6m x 1m net with PVC headband. Complete with net carry bag. Iron phosphate coating used to help protect posts against the elements. Properly maintenance is still required to prolong the life of the posts.